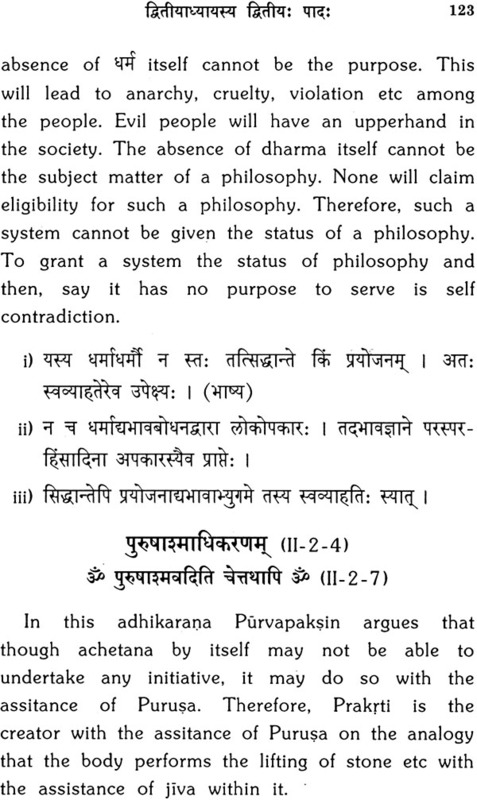 Brahmasutras constitute the central text of Vedanta Philosophy. The Vedanta doctrines enshrined in Vedas, Upanisads gita, Pancharatra and Itihasa Purana are critically summarized in Brahmasutras. These are also known as Vedantasutras. The sutras that give an exposition of Brahman as revealed in Vedas. The knowledge that arises by a critical study of the entire Vedic literature. These sutras enable us to get such a knowledge and therefore are designated as Vedanta sutras. This indicates that the area of the source literature of Vedanta is no confined up Upanisads only but extends to the entire Veda and the allied literature. Sri Madhvacharya clearly sets the scope of sastras the sources literature of Vedanta philosophy. Vedanta philosophy is not the teaching of a particular text or texts. It is a tradition flowing from Sruti, Smrti Pancharatra and Itihasa Purana. The Upanisads Brahmasturas and Bhagavadgita are generally stated as the source of Vedanta philosophy. This is only a way of compactly stating it. The Brahmasutras give an exposition of Vedanta philosophy form this vast source of Vedantic literature. Vedavyasa i.e. 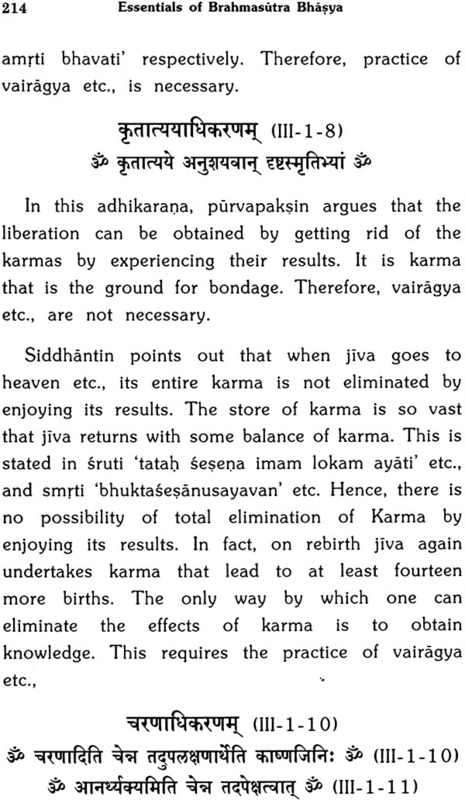 Badarayana himself states here through lord Krsna that he composed Vedanta i.e. 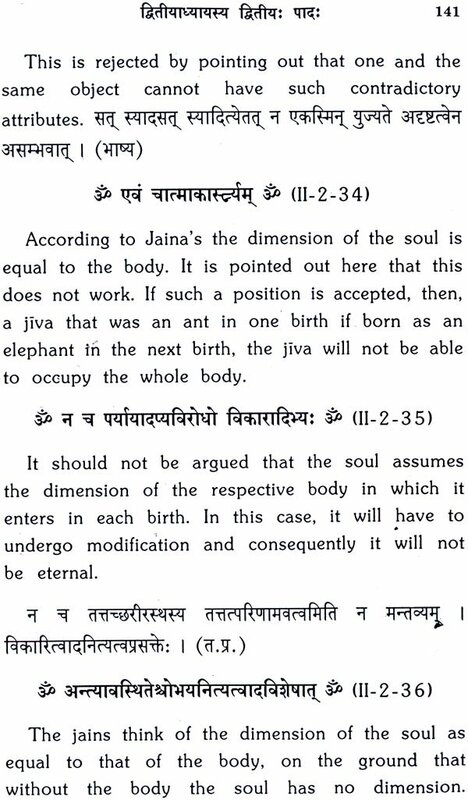 Vedanta Sutras taking into account the teaching of the entire Veda. The purport of the Vedas sung by the sages is determined by Brahmasutras by a rational interpretation. These three designations inform us that An exposition of the nature of the Brahma is the central theme of these sutras and this is done by a rational interpretation of the entire Vedas with the support of the allied literature. Three Bhasyas composed by Sri Sankara, Sri Ramajuna and Sri Madhvacharya that represent Advaita. Visistadvaita and Dvaita respectively are widely studied. Sri Madhvacharya’s Bhasya is very brief. 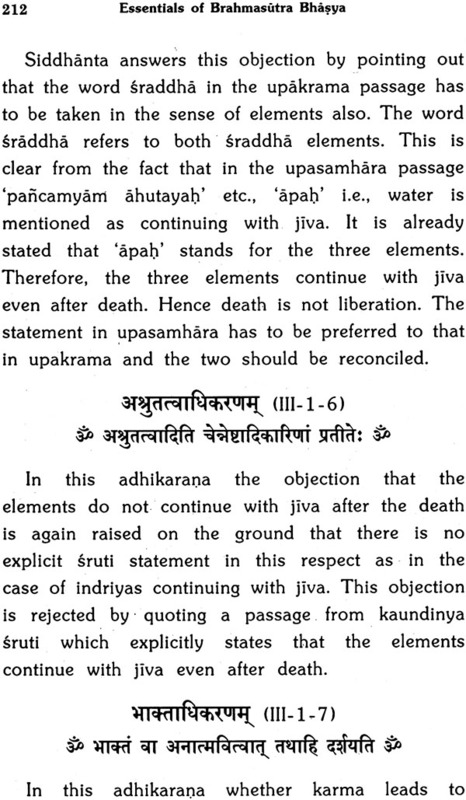 It however precisely pinpoints the Vedanta tenets enshrined in the sutras supports them by quotting a large number of source passages from Sruti Smrti and Itihasa Purana that have preserved the tradition of Vedanta thought and briefly points out the drawbacks of the other interpretations. It is not as elaborate as Sri Sankara Bhasya or Sri Ramajuna Bhasya. Two of his direct disciples Sri Trivikrama Panditacharya and Sri Padmanabhatirtha therefore wrote commentaries on this Bhasya. These are known as Pracina Tikas. Later Sri Jayatirtha wrote a detailed commentary viz., Tatvaprakasika. This was followed by a large number of sub commentaries century after century. In this way a rich literature has developed on Sri Madhvacharya’s Brahmasutra Bhasya. These are published with five other sub commentaries with detailed introduction in English in seven volumes. This introduction is published here under the title the essentials of Brahmasturas Bhasya. 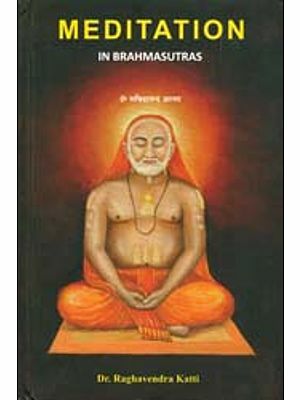 Brahmasutras constitute the central text of Vedanta Philosophy. 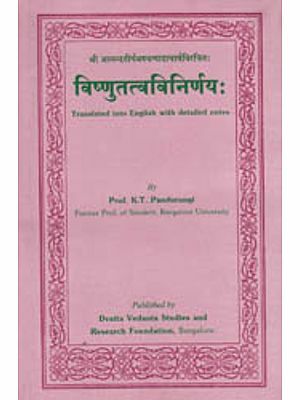 The Vedanta doctrines enshrined in Vedas, Upanisads Gita Pancharatra and Itihasa Purana are critically summarized in Brahmasturas. 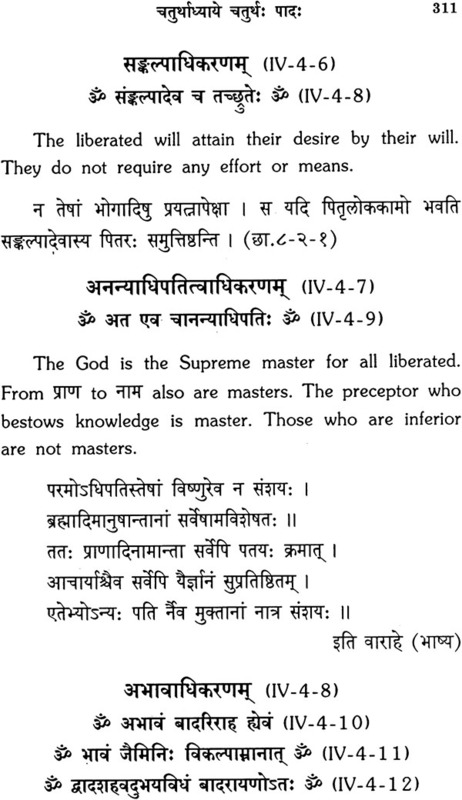 The Sutras that give an exposition of Brahman as revealed in Vedas. The knowledge that arises by a critical study of the entire Vedic literature. These Sutras enable us to get such a knowledge and therefore are designated as Vedanta Sutras. this indicates that the area of the source literature of Vedanta is not confined to Upanisads only but extends to the entire Veda and the allied literature. Vedanta Philosophy is not the teaching of particular text or texts. It is a tradition flowing from Sruti, Smrti Pancharatra and Itihasa Purana. The Upanisads Brahmasutras and Bhagavadgita are generally stated as the source of Vedanta philosophy. This is only a way of compactly stating it. One has to add Rk Prasthana and Itiahasa Purana Prasthana also to complete it. 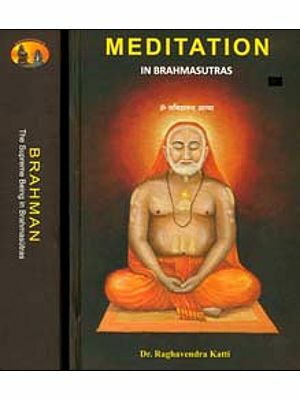 The Brahmasutras give an exposition of Vedanta philosophy from this vast source of Vedantic literature. Vedavyasa i.e. 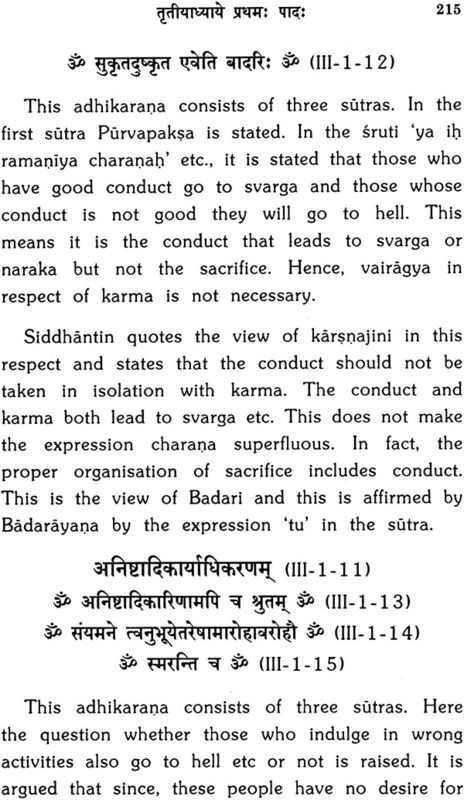 Badarayana himself states here through lord krsna that he composed Vedanta i.e. 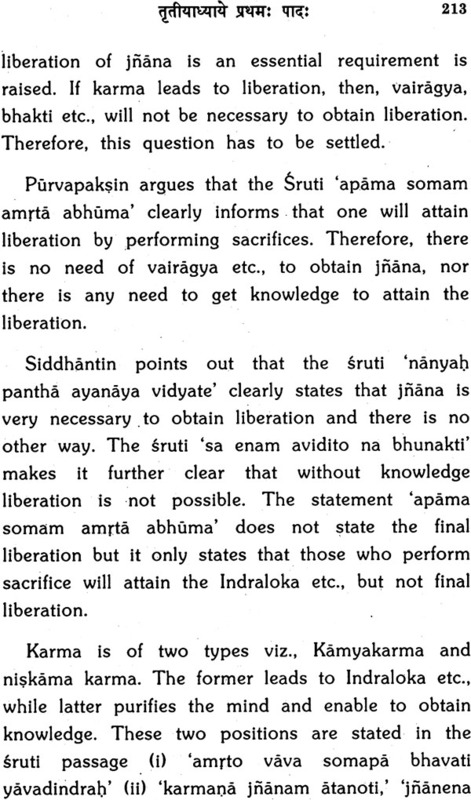 Vedanta sutras taking into account the teaching of the entire Veda. The purport of the Vedas sung by the sages is determined by a rational interpretation. These three designations inform us that An exposition of the nature of the Brahman is the central theme of these sutras and this is done by a rational interpretation of the entire Vedas with the support of the allied literature. In this connection we may not the remark. In view of the central position of Brahmasutras in the Vedanta literature several Vedanta thinkers have composed Bhasyas on these Sutras. Bhavaprakasika a commentary on Sri Sumadhva Vijaya mentions that there were twenty one Bhasyas before Sri Madhvacharya composed his Bhasya. This list does not mention these Bhasyakaras in the chronological order. 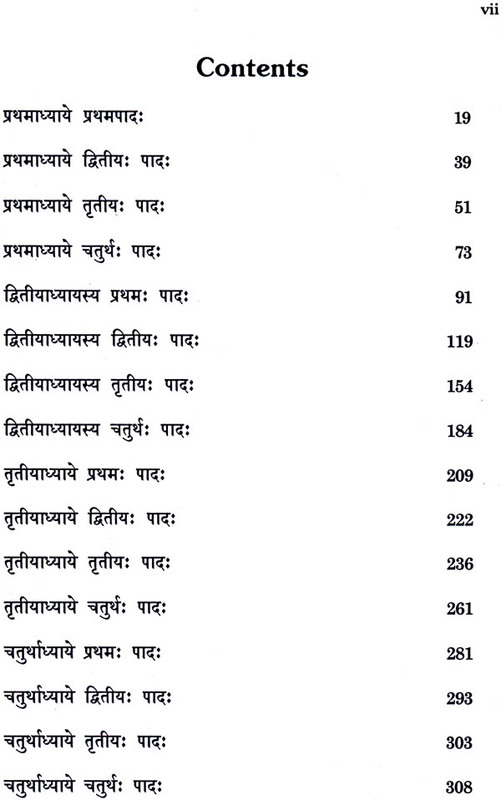 It only states that these were before Sri Madhvacharya. Many of these flourished before Sri Sankaracharya. He does not mention them. However he criticizes the views of Bhartrpraparicha and the views of a few other Bhasyakaras. Sri Ramanuja is stated to have revived Bodhayana’s Vrtti and has criticized the views of Bhaskara. 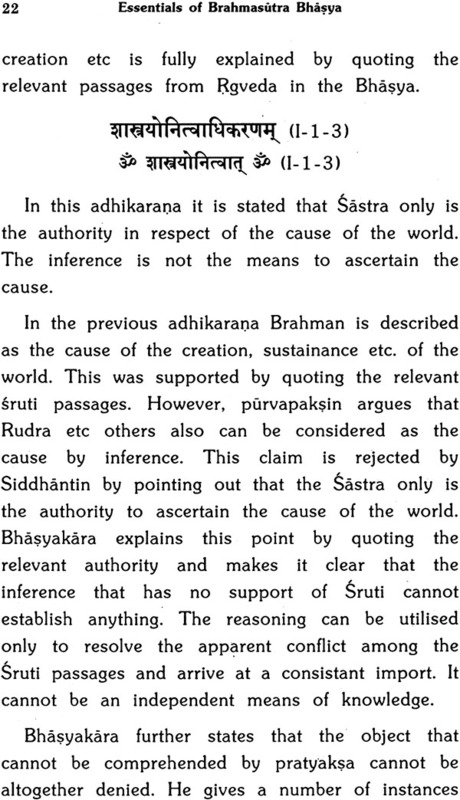 Both Bhaskara and Sri Ramanuja disagree with Sankara not only in respect of the whole philosophy of Advaita developed by him as the philosophy of developed by him as the philosophy of developed by him as the philosophy of Brahmasutras. Sri Ramanuja particularly criticized the concept of Nirguna Brahman, Jaganmithyatva and vivartavada. These were against his theistic and vivartavada. These were against his theistic philosophy Sri Madhvacharya who came after Sri Philosophy Sri Madhvacharya who came after Sri Ramanuja fully established the monotheism and the realism as the philosophy of Brahmasutras. Some more Bhasyas are written after Sri Madhvacharya. At present ten Bhasyas are available. These are 1) Sankara, 2) Bhaskara, 3) Ramanuja, 4) Madhva, 5) Vijnana Bhiksu 6) Vallabha 7) Nimbark, 8) Srikantha 9) Suka, 10) Baladeva Vidyabhusana. The date of Sukabhasya is quite uncertain. It claims great antiquity. There is a Bhasya by Sripati Pandita also. Among these noz. 3,4,6,7 and 10 follow Vaisnava tradition no.8 follows the Saiva tradition. The text of the Brahmasutras is handed down intact with a few minor variations in different traditions. According to the text adopted in Dvaita tradition it consists of 564 sutras. However Sri Sankara counts 555, while Sri Ramanuja counts 545 this is mainly due to taking of two sutras a one in some tradition and splitting one into two in another tradition. There are no substantial additional sutras or omissions of Sutras. in the wording of the Sutras there are some variations here and there. The Bhasyakaras and the later commentators have no grumbled about these variations. They have concerned themselves more about the interpretation than minor differences in readings here and there. These Sutras are arranged into four Adhyayas i.e. chapters. In each pada the sutras are grouped into adhikaranas. This plan is normally followed by Bhasyakaras of different Darsaas. However in Purvamimamsa some adhyayas contain eight padas. These chapters are known as Sarabhapada chapters. While there is no difference among the Bhasyakaras in respect of adhyaya and pada arrangement of Sutras, they considerably differ in the arrangement of adhikaranas i.e. topics. 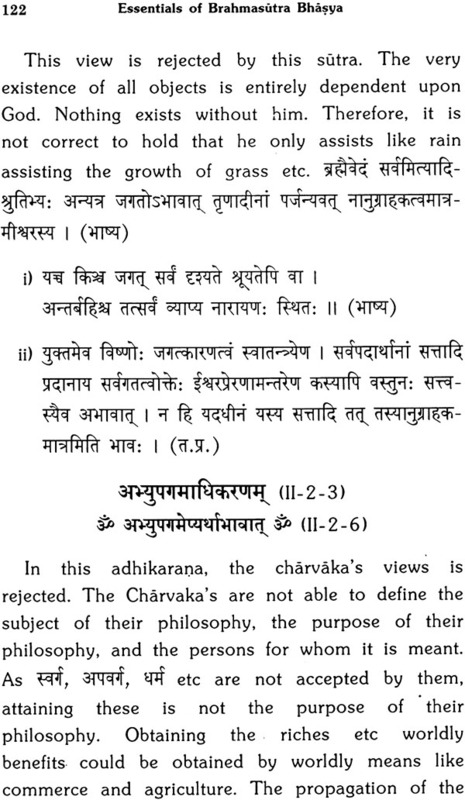 According to Dvaita tradition there are 222 (223) adhikaranas i.e. topics Sankara has 192 topics while Ramanuja has 165 topics. This also depends upon as to how one wants to formulate the topic and which sutra he takes as aksepasutra and which sutra as samadhana sutra. The ingenuity of each Bhasyakara is discernible here in leading Sutrakara into his point of view. The commentators have further shown their skill in explaining or defending the respective Bhasyakara’s approach. In this process they have made considerable contribution to the science of interpretation epistemology and hermeneutics. 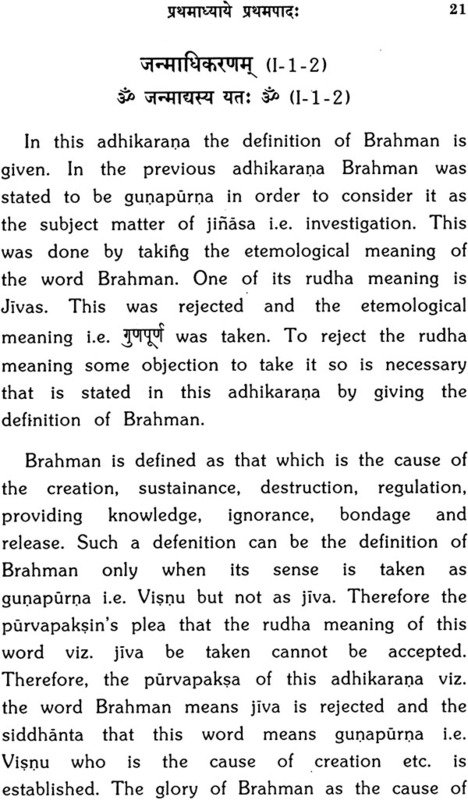 In respect of the text of Brahmasutra a modern scholar Dr. S.K. Belwalker has made some interesting surmises. He traces three stages of the development for Brahmasutra’s. Firstly there must have bee separate Brahmasutras for each sakha as in the case of Srautasutras and Grhyasutras. Among these the Brahmasutras connected with the Chandogyas seems to have attained importance. Taking this as the nucleus the present Brahmasutra seems to have taken its shape incorporating some sutras from the other Sakhasutras. He also states that the whole of second pada of second adhyaya is later addition since Buddhist philosophy is refuted in this portion. This surmise has no valid basis. Srautasutras and Brahmasutras cannot be treated on par. The Srautasutras describe the procedure of the performance of sacrifices. The practice of performance differs from Sakha to Sakha. Therefore separafe Srautasutra for different Sakhas may be necessary. In the case of Brahmasutras no such contingency arises. 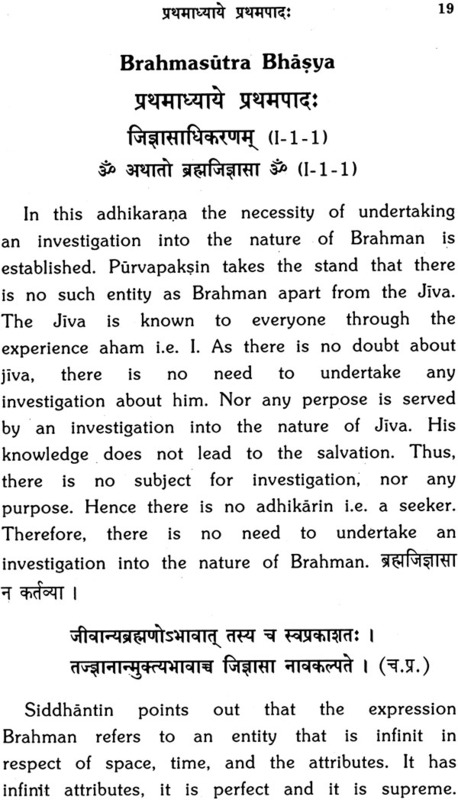 Brahmasvarupa cannot differ from Sakha to Sakha. 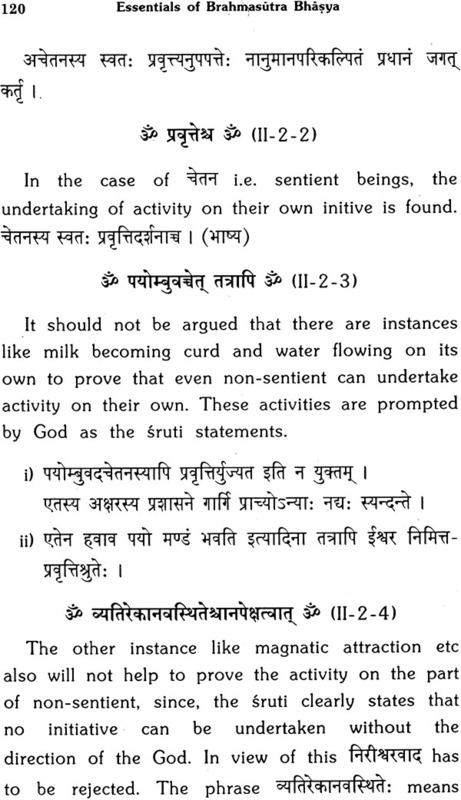 Further the Visaya Vakhyas for the very first and second adhikaranas are from the Taittiriya Upanisad. The subject matter of Anandamayadhikarana is from Taittriya Upanisad if these are deleted or treated as later additions then the very foundation of the Brahmasutras is lost. A close study of the Brahmasutras is lost. A close study of the Brahmasutras will reveal that the Visayavakhyas are drawn from all important Upanisads. The key words of these passages are incorporated into the sutras. therefore the contention that these sutras belonged to Chandogya only cannot be accepted. 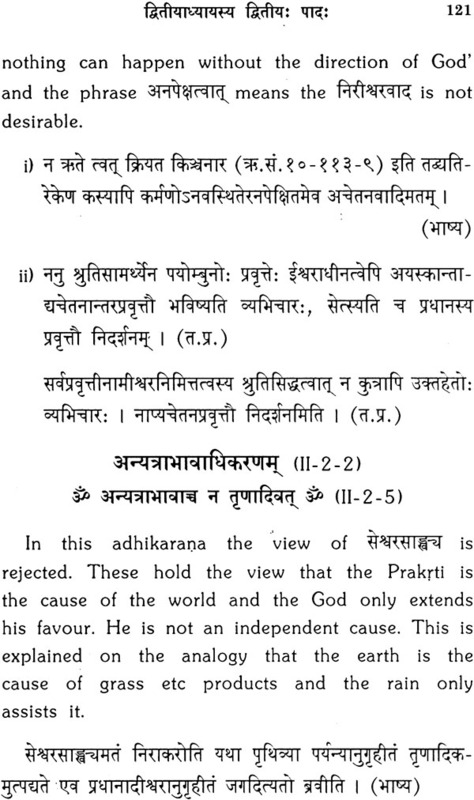 It may be noted that Sri Madhvacharya shows that the Visayavakyas of some adhikaranas are drawn even from Rksamhita. 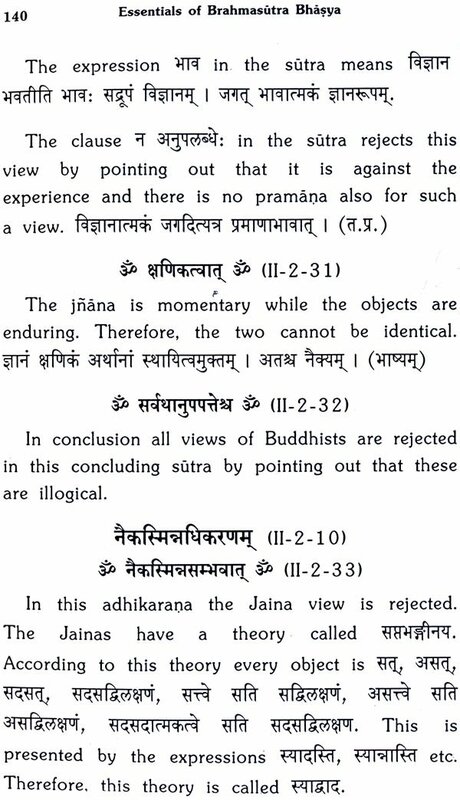 As regards the second pada second adhyaya containing the refutation of Buddhist views and the views of the Vaiseeka etc. the basic doctrines of these systems are much older than the available texts. Therefore a mention of these cannot be utilized for chronological purpose. Another interesting point raised by the modern scholars is the mention of some names of Vedanta thinker in Brahmasutras who are supposed to be earlier to Badarayana. According to the modern scholars these hold different views on some Vedanta issues and therefore they must also have composed Vedantasutras or some other form of Vedanta treatises.